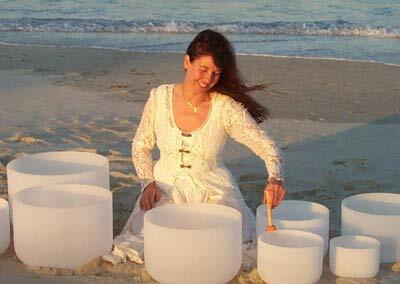 Chicchan will play the uplifting Pure Quartz Crystal Singing Bowls at the Yamba Yoga Festival. Chicchan’s spiritual journey led her deep into the understanding that the source of male/female balance, radiant health and spiritual wellbeing, lies in acceptance and unconditional love of the self as an aspect of the Divine. Sharing her essence, she co-creates sacred spaces and ceremonies for healing, spiritual growth and Divine Union. Chicchan’s passion is in sharing the transformative power of crystals, sound and healing energy, embodying peace in every moment. A lot of thanks for all of your hard work on this website. My mother take interest in managing investigation and it is obvious why. I learn all about the lively mode you produce efficient information on your web blog and attract contribution from website visitors on this theme so our own child is truly discovering a whole lot. Enjoy the remaining portion of the new year. Your performing a really good job.